This Creative Fonts Bundle is oozing with some of the best and fabulous fonts. You’ll get 40 magnificent fonts that are the perfect answer to a variety of design projects. This wonderful fonts bundle have a unique, detailed and handmade look. Whether you want to try a classy look with uppercase letters or a beautiful look with lowercase letters, this font bundle is meant for something completely timeless. Incredibly flexible set, as you can mix and match the various alternate characters. 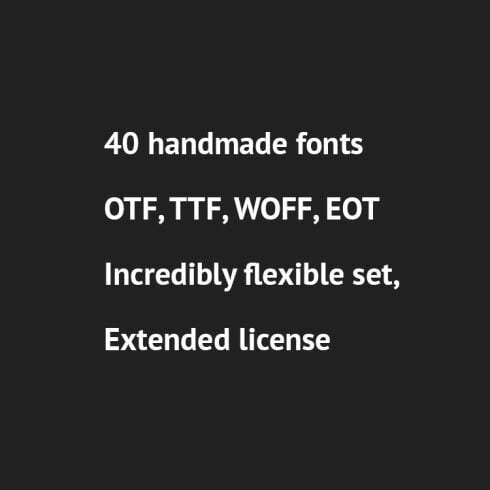 Extended license – create as use as many of these fonts as you’d like on your own personal projects as well as any commercial ones for clients. What Are Fonts and Why Are They Important? A web font is a set of signs of some size and pattern that creates a single thematic and structural system. The main function of any font is to obtain the reader’s attention with its outline and color and get him to check the content. A great font allows you to present not just the written text but also a particular mood. Cool and uncommon fonts are more effective and more recognizable, so every business aims to regularly work with its unique one as an important part of their brand. 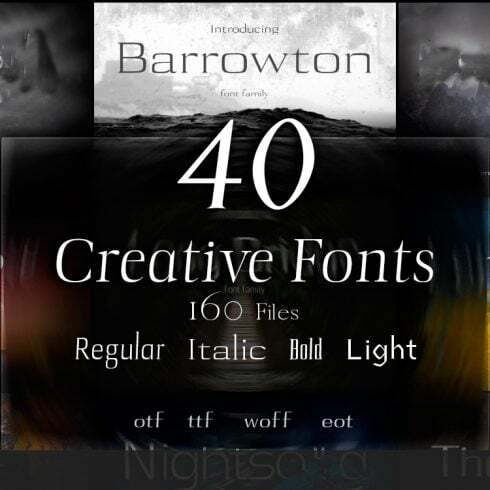 The cost of custom fonts frequently can vary from totally free to over hundred dollars. – Sans-serif – the letters with no serifs at the ends, which provides a more contemporary, “clean” appearance and simplifies the perception of large text fragments. – Script – beautiful cursive or handwritten fonts where characters are usually crossed with each other. Script is best for creating a stylish, fun and relaxed handwritten textual content. – Decorative typefaces – created mainly for catching the audience’s interest or employed for another particular effect or goal. What Are Font Kits and How Much Do They Cost? A web font bundle is simply a group of various web fonts offered at more affordable price. One of the benefits of buying kits is that they cost a little bit more than one font does, as long as they are on sale. The regular price of a web font package on our website is just $2-20. But hurry up: the life cycle of each bundle goes on for less than five days. When thinking about creating ad banners, one should take the choice of web font rather seriously. Advertising banner developers should select those kinds of fonts that will correspond to the mood of their advertising campaign. The web font itself does not simply bring details in a form of text but also fills it on an emotional level, provided one is used properly. Most of the time, the advertising text shows the audience a sense of the brand’s service, which signifies a properly-picked web font will only help with the desired aesthetic impact. I Haven’t Discovered Any Desirable Fonts in This Font Bundle. What to Do? Don’t worry about it! Master Bundles presents hundreds of different bundle options for numerous occasions and styles. Just check out our site and you’ll surely find something to your taste and requirements. What Other Alternative Bundle Deals Do You Provide on MasterBundles.com? Aside from font deals, we have lots of handy design & development bundles to offer. Those can have a great impact on your productivity if you are a UX/UI designer or illustrator. Those are pre-made kits with high quality icons, vector illustrations, WordPress web themes, and in general, web units with numerous solutions combined. Those packages are very affordable throughout the sales period, so you better keep an eye on those discounts and get it fast! Masterbundles is an internet marketplace. On our website, professional designers market their masterpieces at the best prices. We provide you with the best design bundles out there, and our bundles are highly praised by buyers. Check out our blog, it really is filled with practical material for professional web designers. Furthermore, in case you register for our newsletter, you will be the first to learn about our special discounts. There’s always discount coupons and promo codes available to reduce the prices to a bare minimum.